Is your old carpeting in dire need of a change? Book a free carpet estimate with The Carpet Guys and get your floors renovated today. Our warehouse is stocked with the most popular carpet and flooring products available, and the costs are low and affordable. Don’t spend any more of your valuable time on unprofessional carpet dealers. Get your new installation done by the best place to buy carpet today. By adding new carpeting to your home, your rooms gain a sense of warmth and comfort like no other. Our flooring products are guaranteed to last and make your home even more inviting. Plush Carpet – This carpet style is the perfect fit or any room that sports a sophisticated and classy look. The rich velvet-like feel is sure to complete your formal settings. Frieze Carpet – For any room that has an informal off-the-cuff look, Frieze is the carpeting of choice. It will add some definite flair that everyone will notice. Berber Carpet – Does your home experience a lot of traffic and abuse? Berber is the durable carpeting you have been looking for. Get it in many cozy earth tones. Looped Carpet – Add some extra interest underfoot with our multi-leveled looped carpeting. It can be purchased in many different colors and patterns. Ready to get your old floors renovated? 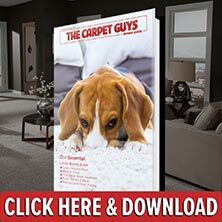 Book your free carpet installation estimate with us to get started. New carpeting in Northfield has never looked better.